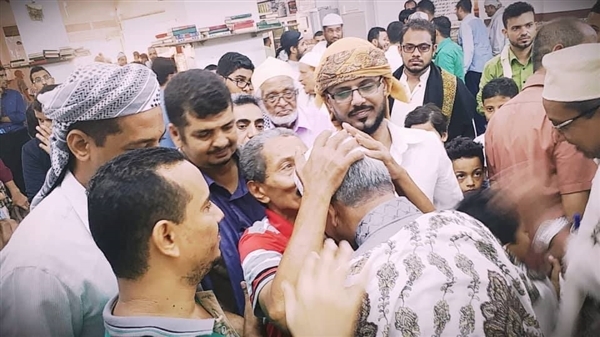 The congregation of Al-Dhoheibi mosque in Aden celebrated on Friday the release of the mosque's Imam, Nidhal Bahweireth from 4 months of imprisonment on no charge by the Aden counter-terrorism police. Hundreds of people who observe prayers to the mosque in Crater in downtown Aden celebrated Bahweireth who was arrested as part of a politically-motivate campaign of arrests and assassinations against pro-government mosque preachers, political activists and even government officers. Pressures from the media and the public prosecution led to the release of some prisoners who are held arbitrarily without charges but arbitrary assassinations are still going on.